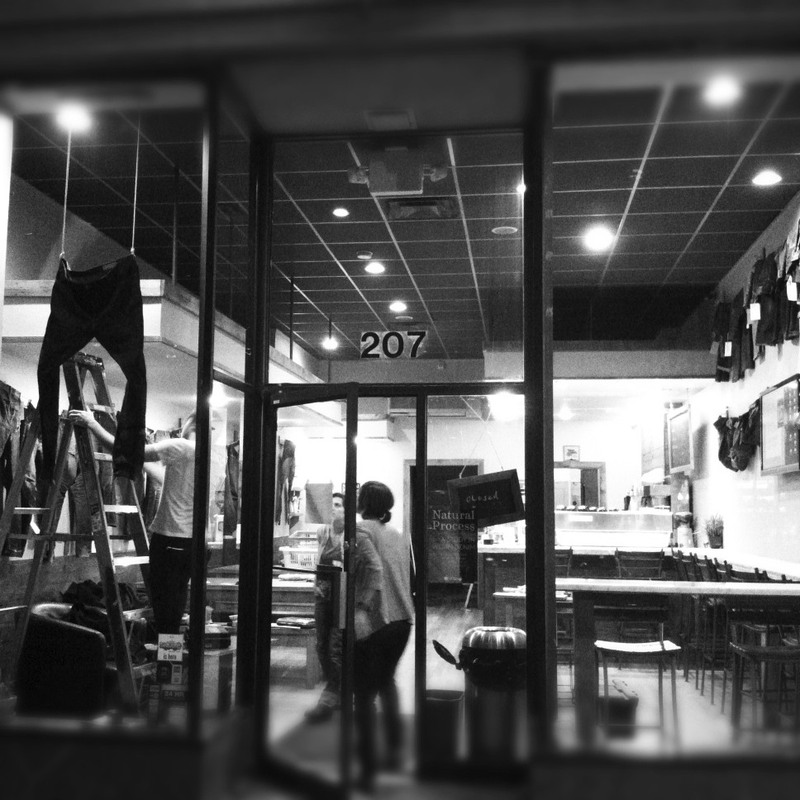 Last night the crew installed Natural Process in Elixr Coffee here in Philly. The installation took quite a bit of time and most of the heavy work to cover two entire walls with 41 pairs of jeans was done between the hours of 2 and 3 in the morning, but it’s finished and we couldn’t be more proud of the result. If you’d like to see install photos or the show itself, follow me on Instagram (@alexfrankel). There are plenty up there and plenty more to come. Natural Process is being held at Elixr Coffee (207 S. 15th Street Philadelphia, PA.). The show opens on 01/13/12 and the opening reception starts at 8pm.